I’m sorry that I didn’t post this past Story Monday. Our favorite Oracle Aimee will return next week. Just an off week, I suppose. 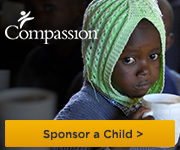 For this Compassion Wednesday, I leave you only with the following video. I don’t want to ruin it with a lot of babble on my end.